The Galaxy S9 and the Galaxy S9 Plus are the best flagships from Samsung that hail from their premium handset lineup and for Amazon Prime members, here is something special just for you. You can avail this deal by paying the standard $720 for the Galaxy S9, or $840 for the Galaxy S9 Plus, but here’s the juicy part. The freebies that you are getting from Amazon means that you will be getting more than $330 worth of free stuff, marking savings of $429.97. 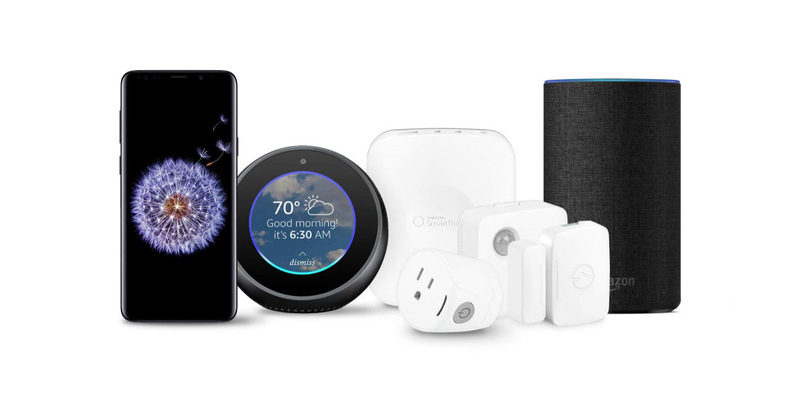 If and when you buy either phone, you’ll get an Echo Spot ($100 right now, usually $130), an Echo smart speaker ($70 right now, usually $100), and a Samsung SmartThings home monitoring kit, which itself includes four smart home accessories. Even on sale, those accessories would set you back a combined $330, and you’re getting them for free with the purchase of a great flagship.